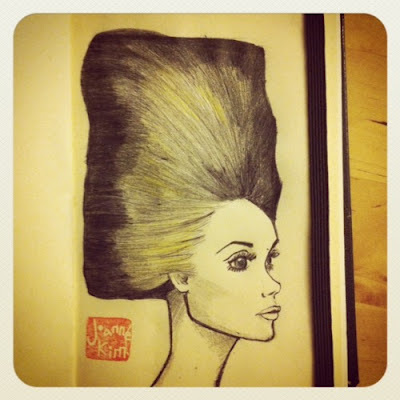 A little sketchbook drawing of some wild hair. The sixties. High. Fashion. Need I say more?